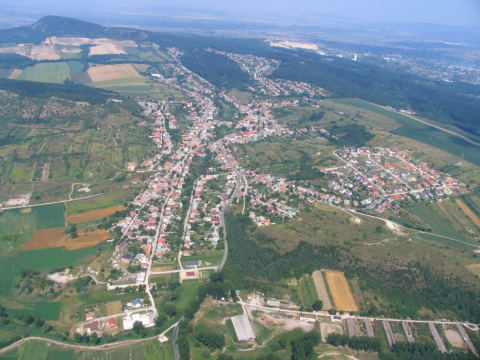 Geographical Coordinates: Latitude 47° 41' 36"
Csolnok is a village in Komárom-Esztergom county, Hungary. 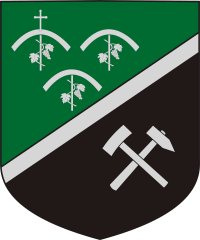 Csolnok's coat of arms colors are black, green and silver. The silver line in the middle symbolises the small stream that runs through the whole village, the Janza. The dividing line through the middle separates the two diverse aspects of Csolnok; with the black area and tools depicting the coal mining history, and the three arcs and grapes representing the mountains and hills surrounding the village and the vineyards, and finally the cross of the church. The history of Csolnok dates back to the times of the Avars, with evidence of the first written documents dating back to the 13th century. During which time the village was owned by the nuns on the Margaret Island (now part of Budapest). In the late 17th century, the Turks occupied the territory, and in 1696 the village was all but destroyed. In the early 18th century significant changes in the life of the community were brought about due to the (still-present) German ethnic settlements. The first settlers came through the initiative of Count Anton Grassalkovich in 1714 to the village from the Alsace, the Rhineland and Bavaria areas. They brought with them musical traditions, in particular folk and church music. After the plague of 1738 decimated the village, more German colonists also settled. These events also shape the present life of the village. The majority of the population still speaks the Bavarian-Franconian dialect of mixed ancestry. According to popular belief, the cultivation of lignite (brown coal) began with a contract between the mining engineer, Anton Rückschuss and the former judge, Anton Kremf on the 27th January 1781. However, the written sources are more credible, and it was documented that lignite was discovered in 1806, and mining began in 1810. Mining ceased in 1979, and had secured the livelihood for the majority of the population to this day. 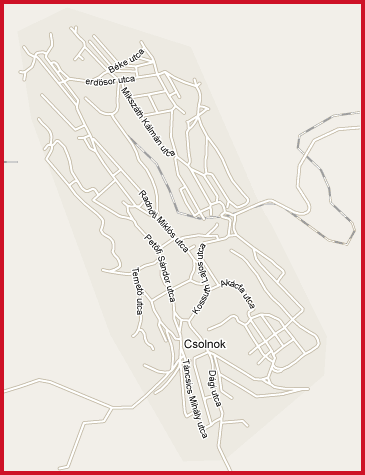 The geographic location of the village gives Csolnok a great attraction: set in a valley surrounded by mountains and hills, beautifully manicured gardens and courtyards, with many mountain slopes adourned with orderly vineyards.